The STARS Transfer Guide System is continually updated according to the policy decisions of the AGSC. As a result, the content found on each guide could change or be updated without prior notice. Below you will find a chronological list of changes that have occurred since the Fall of 1998. 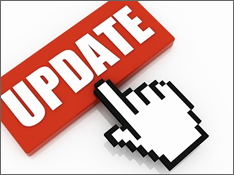 Please check this page for the latest updates and corrections to the STARS System. If you have a question about a program or if you would like to know the status of a program, please contact us. REVISION: The template and STARS guide for "Geospatial and Environmental Informatics (AU Only)" was updated. In Area V, students may now choose one course from BUS 260, BUS 271, and MTH 265. REVISION: The template and STARS guide for "Natural Resources Management (AU Only)" was updated. In Area V, students may now choose one course from BUS 260, BUS 271, and MTH 265. Free elective hours were decrease from 8 to 6 hours. REVISION: The template and STARS guide for "Sustainable Biomaterials and Packaging (AU Only)" was updated. In Area V, students may now choose one course from BUS 260, BUS 271, and MTH 265. Free elective hours were decrease from 8 to 3 hours. REVISION: The template and STARS guide for "Wildlife Ecology & Management (AU Only)" was updated. In Area V, students may now choose one course from BUS 260, BUS 271, and MTH 265. Also, students may now select a course from GLY 101, PHY 120, and PHY 201. REVISION: The template and STARS guide for "Wildlife Enterprise Management (AU Only)" was updated. The Philosophy/Ethics requirement was moved from Area V to Area II. Due to this, students no longer have a choice of a Literature sequence and must take a History sequence in Area IV. In Area V, students now have a choice between CUA 101 and HMM 105. CUA 111, HEC 140, and PED 224 were added as options. ECO 232 and HMM 252 are now required courses. The STARS guide for "Textile Management and Technology (AU Only)" has been removed from the system. Auburn University no longer offers this major. REVISION: The template and STARS guide for "Interior Architecture (AU Only)" was updated in order to bring it in line with the "Architecture (AU Only)" STARS guide. In Area II, a Philosophy / Ethics requirement was added. Students must now select one course from IDS 102, PHL 106, or PHL 206. In Area III, MTH 115 Precalculus Algebra & Trigonometry was added as an option. Also, the Physics requirement was changed from PHY 201 to a choice of sequence between PHY 201 and PHY 202 or PHY 213 and PHY 214. In Area IV, students are now required to take a history sequence. In Area V, CIS 198 and CIS 145 were replaced with CIS 207 and CIS 208.. REVISION: The template and STARS guide for "Building Science (AU Only)" was updated. In Area II, a Philosophy / Ethics requirement was added. Students must now select one course from IDS 102, PHL 106, or PHL 206. In Area III, the Physics requirement was changed from PHY 201 and PHY 202 to a choice of sequence between PHY 201 and PHY 202 or PHY 213 and PHY 214. In Area IV, students are now required to take a history sequence as well as ECO 231 and ECO 232. In Area V, GLY 101 Introduction to Geology I was removed as an option. Guide for "Law & Justice (AU Only)" was added	to the website. REVISION: The template and STARS guide for "Engineering - Biosystems (AU Only)" was updated. In Area II, the Philosophy requirement (PHL 106) was replaced by Ethics (IDS 102 or PHL 206). In Area III, the Physics requirement was changed from PHY 201 to PHY 213. In Area IV, the "remaining hours" section was narrowed to only include ANT 200, ECO 231, POL 200, POL 211, PSY 200, and SOC 200. Guide for "Wildlife Enterprise Management (AU Only)" was added	to the website. Guide for "Health Care Management / Health Services Administration" was added	to the website. Guide for "Neuroscience" was added	to the website. REVISION: The template and STARS guide for "Forestry" was updated. Students may now choose between a Literature and History sequence (in Area II and Area IV). The requirement in Area II of an Ethics course has been removed. In Area V, the choice of Chemistry sequences was removed and all students must now take CHM 111 & 112. REVISION: JSU was removed from "Liberal Arts/Stuides" STARS guide and added to the "Interdisciplinary Stuides " STARS guide at their request. Guide for "Interdisciplinary Stuides" was added	to the website. REVISION: The STARS guide for "Environmental Studies (UM Only)" has been revised in Area II and V. In Area II, GRN 201, GRN 202, HUM101, HUM 102, HUM 299, HUM 299-01, HUM 299-02, HUM 299-03, IDH 106, IDH 208, IDH 214, IDS 102, JPN 101, JPN 102, REL 100, REL 151, and REL 152 were added as options. In Area V, BIO 201 and BIO 202 were added as options. REVISION: The STARS guide for "Advertising (UA Only)" has been revised in Area II and V. In Area II, a literature sequence is now required. In Area V, MCM 203 was added as a requirement and the remaining hours in Area V may now be completed from approved courses in Area II-IV not already taken. REVISION: The STARS guide for "Wildlife Ecology and Management (AU Only)" has been revised in Area V. CHM 111, CHM 112, MTH 265 along with a choice of PHY 201 or 213 are now required. The remaining 8 SH are electives taken from Areas I-IV that have not already been taken. REVISION: The STARS guide for "Natural Resources Management (AU Only)" has been revised in Area V. CHM 111 and 112, along with MTH 265 are now required courses. The remaining 8 SH are electives taken from Areas I-IV that have not already been taken. REVISION: The STARS guide for "Natural Resources Management (AU Only)" has been revised. In Area II, the Philosphy/Ethics requirement was removed and replaced with a 3 SH Speeh requirement. In Area III, MTH 120 and 125 were removed and MTH 113 (Precalculus Trigonometry) was added as the entry level math. REVISION: The STARS guide for "Wildlife Ecology and Management (AU Only)" has been revised. In Area II, the Philosphy/Ethics requirement was removed and replaced with a 3 SH Speeh requirement. In Area III, MTH 120 was removed leaving MTH 125 (Calculus I) as the entry level math. The STARS guide for "Laboratory Technology (AU Only)" has been renamed "Laboratory Sciences (AU Only)". The STARS guide for "Emergency Management (JSU Only)" has been updated. Changes have been made in Area V and provide students with a large selection of courses to choose from. See Area V in the template here. Guide for "Food Science" was added	to the website. Guide for "Science (General, Non-Teaching, Comprehensive)" was added	to the website. The STARS guide for "Agronomy and Soils (AU Only)" has been renamed "Crop and Soil Sciences (AU Only)". The STARS guide for "Polymer and Fiber Engineering (AU Only)" has been removed from the system. Auburn University no longer offers this major. REMOVAL: Auburn University has been removed from the "Religious Studies" STARS guide. Auburn no longer offers this major. REMOVAL: UAB has been removed from the "Clinical Lab Sciences/Medical Technology" STARS guide. UAB no longer offers this major at the baccalaureate level. The University of Montevallo was added to the "Journalism" major. REMOVAL: The STARS guide for "Food Science (AA&MU Only)" has been temporarily removed from the system as they work on updates. REMOVAL: The STARS guide for "Exercise Science and Wellness (JSU Only)" has been removed from the system. The new "Kinesiology & Exercise Science" added on Dec 1, 2017 contains the requirements for this major at JSU. REVISION: The STARS guide for "Kinesiology" has been replace with "Kinesiology & Exercise Science". Extensive changes were made in order to satisfy requirements at multiple institutions. REVISION: The STARS guide for "Mathematics" has been updated to meet current requirements. Changes were made in Area III (added a note to MTH 112 and removed MTH 120, MTH 237 and MTH 238) and Area V (Added MTH 237 and 238 as options). Guide for "Agricultural Science (AU Only)" was added	to the website. The University of South Alabama no longer offers "Cyber Assuance" as a major. The STARS guide has been removed. REVISION: The STARS guide for "Architecture (AU Only)" and "Industrial Design (AU ONLY)" have been updated to meet current requirements. Guide for "Environmental Design (AU Only)" put	on-line. Jacksonville State University has been removed from the "Technology, Industrial Technology or Engineering Technology" STARS guide at this time. They will be added back in the future, pending the ratification of the updated template. The University of Alabama at Birmingham (UAB) was added as an institution that now offers Kinesiology. The STARS guide requirements were unchanged. Now students may transfer these credits to either UAB or the University of Montevallo. Alabama Southern Community College, Faulkner State Community College, and Jeff Davis Community College were combined into one single institution now called Coastal Alabama Community College. Guide for "Instructional Design & Performance Improvement (USA Only)" and "Environmental Studies (UM Only)"	put	on-line. REVISION: The STARS guide for "Horticulture (AU Only)" has been updated to meet current requirements. Added the Alabama A&M University to the Animal Sciences guide. Added a new two-year community college course to all applicable guides. The course is HUM 299 PTK Honors (3 SH) in Area II. Guide for "Global Studies in Human Sciences (AU Only)" put on-line. Added the Trenholm State Technical College to the system. Added the University of Alabama at Birmingham (UAB) to the Biomedical Sciences guide. Guide for "Radiologic Sciences (USA Only)" was updated. PHY 120 was added in Area V.
"Respiratory Therapy/Cardiopulmonary Science (USA Only)" updated. Note was changed in Area V to limit students from taking more than 19 SH. The Troy University was added to the "Physics" STARS guide. The University of Alabama was removed from the "Art Education" STARS guide. Guide for "Urban and Regional Planning (AAMU Only)" put on-line. For information on the specific changes, go to http://stars.troy.edu/contact_us.html and submit a request. The Athens State University was removed from the "General Science Education: Middle/High School " STARS guide. The University of South Alabama was added to the "Hotel, Restaurant, and Hospitality Management" STARS guide. UAB has been removed from the "Respiratory Therapy/Cardio Scence" STARS guide. UAB now only offers this program at the graduate level. The guide was renamed to "Respiratory Therapy/Cardio Scence (USA Only)" since the University of South Alabama is the only remaining institution to offer this program at the undergraduate level. The "Food Science & Technology (AAMU Only)" STARS guide was renamed to "Food Science (AAMU Only)". Guide for "Family & Consumer Sciences / Human Environmental Sciences " put on-line. This guide replaced "Family and Consumer Sciences", "Family and Consumer Sciences (UM Only)", and "Human Environmental Sciences (UNA Only)" STARS guides. Guide for "Human Development and Family Studies" put on-line. This guide replaced "Human Development and Family Studies (AU Only)" and Human Development and Family Studies (UA Only)" STARS guides. Guide for "Public Health (UAB Only) " put on-line. Alabama State University was added on the "Sociology" guide. Guide for "Hospitality, Sport, and Tourism Management (Troy Only) " put on-line. This guide replaced "Sport & Fitness Management (Troy Only)" STARS guide. They have all been removed from the STARS System. Guide for "Apparel and Textiles " put on-line. This guide replaces "Apparel Mer., Design, & Prod. Manage. (AU Only)" and "Apparel and Textiles (UA Only)" which have been removed from the system. Guide for "Forestry" put on-line. This guide replaces "Forest Management/Forest Science (AAMU Only)" and "Forestry (AU Only)" which have been removed from the system. Guide for "Nutrition" put on-line. This guide replaces "Nutrition (AU Only)" and "Food and Nutrition (UA Only)" which have been removed from the system. Guide for "Interior Design" put on-line. This guide replaces "Interior Design (AU Only)" and "Interior Design (UA Only)" which have been removed from the system. Guide for "Hotel, Restaurant, and Hospitality Management" put on-line. This guide replaces "Hotel & Restaurant Management (AU Only)" and "Restaurant and Hospitality Management (UA Only)" which have been removed from the system. Guide for "Food Science & Technology (AAMU Only)" was updated. Additional math choices were added to Area III. Guide for "Kinesiology (UM Only)" put on-line. TEMPORARY REVISION: The University of Montevallo has been removed from the "Physical Education" STARS guide. The following note has temporarily been placed on the "Physical Education" guide to assist students. REVISION: Area V has been updated on the STARS guide for "Wildlife Ecology and Management (AU Only)". Students who chose to take CHM 111 and CHM 112, were also required to take either CHM 221 or CHM 234. This requirement has been removed and students can now just complete CHM 111 and CHM 112. REVISION: On 02/05/2013 Alabama A & M University was removed from the "Animal/Dairy Science" STARS guide. This left Auburn University as the only institution with this major. The major is now listed as Auburn Only and the STARS guide name has been changed to "Animal Sciences (AU Only)". REVISION: "Agribusiness Economics (AAMU Only)"" STARS guide has been removed from the system. Alabama A&M University no longer offers this program. REVISION: Alabama A & M University was removed from the "Animal/Dairy Science" and "Music Education (Middle/High School)" STARS guides. Alabama A&M University no longer offers these programs. Guide for "Environmental Science" has been updated. The previous Environmental Science guide which supported programs at Troy, UA, and UWA was combined with the AAMU and AU Environmental Science guides. All institutions now work from the same Environmental Science guide. Guide for "Liberal Arts/Studies " put on-line. Guide for "Natural Resources Management (AU Only)" put on-line. Guide for "Integrated Marketing Communication (UWA Only)" put on-line. Guide for "Agricultural Economics (AU Only)" has been renamed to "Agricultural Business and Economics (AU Only)." In Area II, students are now required to take an Ethics course (IDS 102 or PHL 206) and a Speech Communication course (SPH 106 or SPH 107). In Area IV, students are now required to complete a History sequence and SOC 200. Area V, BUS 271 and BUS 272 are now required along with 1 SH of a free elective. Guide for "Wildlife Sciences (AU Only)" has been renamed to "Wildlife Ecology and Management (AU Only)." In Area II and Area IV, students are no longer required to take both a literature sequence and history sequence (they may now choose one or the other). In Area III, MTH 120 was added as an option. In Area IV, sections of this area have been limited to specific courses (too much to list here), but students still have a wide range of courses to choose from. In Area V, SPH 106 and 107 were added as options along with PHY 201 and 213, and CHM 104 and 105. Guide for "Fisheries Science (AU Only)" has been renamed to "Fisheries and Allied Aquacultures (AU Only)." With the name change, there were also content updates. In Area II, students must take an ethics course (IDS 102 or PHL 206) and a speech communications course (SPH 106 or SPH 107). In Area IV, a history sequence is now required. Area V now includes a General Fish and Pre-Vet Track with updated requirements for each. Guide for "Public Administration (AU Only) " was updated. In Area II, only 3 SH or literature is now required, Speech is now required (added SPH 106 or SPH 107 as choices), and PHL 106 was added as an option. In Area IV, HIS 101 and HIS 102 were removed as options, ECO 232 is now required, SOC 200 was removed, and POL 200 and POL 211 were added as options. In Area V, JAP 101 and JAP 102 were removed and MTH 265 is now required. Guide for "Industrial Hygiene (UNA Only) " was updated. In Area V, BIO 104 was removed and MTH 126, MTH 265, BIO 220, CHM 221, and CHM 222 were added as choices. Guide for "Emergency Management (JSU Only) " was updated. In Area II, Introductory foreign languages were added as an option. In Area III, the math requirement was lowered to accept MTH 110. And, in Area V, the total number of hours needed to complete the area was lowered from 23 to 19. Guide for "Nuclear Medicine Technology (UAB Only) " was updated. In Area V, BIO 230 Human Pathophysiology was added as an additional choice for students. Guide for "Business (All Business Majors)" was updated. In Area V, BUS 210 and BUS 248 were removed. Guide for "Engineering - Biomedical (UAB Only)" was updated. In Area V, CIS 251 was removed and replaced by CHM 221. Guide for "Rehabilitation Services Education (AU Only)" was renamed to "Rehabilitation and Disability Studies (AU Only)". Guide for "Health Promotion (AU Only)" was renamed to "Physical Activity and Health (AU Only)". ECO 232 (Principles of Microeconomics) was also removed from Area V.
REVISION: UAB has removed "Cytotechnology (UAB Only) " from the STARS web site . UAB no longer offers this program as an undergraduate degree. It has been replaced by a track in the Clinical Laboratory Science master's degree. Guide for "Biomedical Sciences (USA Only)" was updated. SOC 210 was added as an option in Area IV. Guide for "Environmental Science (AAMU Only) " and "Food Science & Technology (AAMU Only)" were brought on -line. REVISION: UAB was removed from the "Economics BA " STARS guide. UAB no longer offers this program. REVISION: "Family and Consumer Sciences (JSU Only)" is now a shared template between AAMU and JSU. It has been renamed "Family and Consumer Sciences" and AAMU has been added at the bottom of the STARS guide where it lists the institutions that offer this program. REVISION: "Engineering - Biomedical (UAB Only)" was updated in Area V. MTH 265 was removed and replaced with MTH 237 Linear Algebra. Guide for "Interdisciplinary Arts (UWA Only) " put on-line. REVISION: "Nutrition & Food Science (AU Only)" was replaced by "Nutrition (AU Only)". For specific information on the "Nutrition (AU Only)" requirements view the approved templates here. REVISION: "Poultry Science (AU Only)" was revised to reflect new requirements. For specific information on the new requirements view the approved templates here. REVISION: "Information Systems (USA Only)" and "Information Technology (USA Only)" both were revised in Area V. For specific information on the new requirements view the approved templates here. Guide for "International Studies " put on-line. Students may now transfer to AUM, UA, UAB, and USA. REVISION:"International Studies (UAB Only)" has been removed from the system and replaced with a new "International Studies" template and STARS guide. The new template and STARS guide were compiled by AUM, UA, UAB, and USA. REVISION: On 05/06/2010, the AGSC approved changes that were recommended by the Communication Studies and Mass Communication academic committees. This change affected SPH 116 on all STARS guides. SPH 116 has officially been moved from an approved course in Area II to an approved course in Area IV. SPH 116 will remain in Area II until Summer 2011. SPH 116 is now listed in Area IV on the STARS guides. SPH 116 can now be accepted as transfer credit in either Areas II or IV. Beginning Fall 2011, SPH 116 will be removed from Area II and will no longer be accepted for credit in Area II unless the course was taken prior to Fall 2011. REVISION: "Biomedical Engineering (UAB Only)" guide was renamed to "Engineering - Biomedical (UAB Only)" per UAB's request. Guide contents remain the same. Guide for "Forest Management/Forest Science (AA&MU Only)" put on-line. REVISION: Auburn University was added to the list of institutions that offers Computer Science. Auburn will now appear at the bottom of the "Computer Science " STARS guide. REVISION: "Instrumentation (Athens Only)" STARS guide was removed from the system. Athens no longer offers this program. REVISION: UAB was removed from the "Radiologic Sciences " STARS guide. UAB no longer offers this program. Guide for "Interpreter Training (TROY Only)" put on-line. Guides for "Information Systems (USA Only)" and "Information Technology (USA Only)" have been put on-line. Guide for "Graphic Design (AU Only)" put on-line. REVISION: "Surgical Physician Assistant (UAB ONLY) " was removed from the system. This major is no longer offered. REVISION: Athens State University was taken off of the "Physics" guide as being an institution that offers that degree. Athens State University no longer offs the "Physics" degree. REVISION: "Biosystems Engineering (AU ONLY) " was renamed to "Engineering - Biosystems (AU ONLY)". No changes were made in the template or STARS guide content. REVISION: "Adult Education (AU ONLY) " was removed from the system. This major is no longer offered. REVISION: "Occupational Therapy" was removed from the system. This major is no longer offered at the bachelor's level. REVISION: "Criminology (AU Only)" was taken off-line because Auburn will no longer offers this major. REVISION: Sports and Fitness Management (Troy Only) was updated to reflect current requirements. For more information contact the STARS office. REVISION: The University of Alabama was added to the "Environmental Science" guide as an institution that offers this major. REVISION: Troy University was taken off the following guides and no longer offers these majors: "French Education: Middle/High School", "Physics Education: Middle/High School", and Spanish Education: Middle/High School". Troy University was added to the "Music" guide. Guide for "Polymer and Fiber Engineering (AU Only)" and "Textile Management and Technology (AU Only)" were put on-line. Both these templates were approved at the March 2005 AGSC meeting, but were not put online until now. Also, the "Polymer and Fiber Engineering" template was approved by the AGSC when it was named "Fiber Engineering". The content of the template remained the same as it was when it was approved, but the name was changed to "Polymer and Fiber Engineering". REVISION: "Nuclear Medicine Technology (UAB Only)" guide was updated to reflect new requirements in Area III and Area V.
REVISION: The Philosophy requirement in Area II on the "Wildlife Science (AU Only)" guide was changed from "PHL 106" to "PHL 206". REVISION: Auburn University was removed from the "Economics B.A." guide. They no longer offer this major. NEW TWO-YEAR COURSE added to all guides where applicable. "REL 100 World Religions "is now available in AREA II. REVISION: Auburn University was removed from the "Biology Education", "History Education", and "Social Studies Education" guide. They no longer offer this major. REVISION: The University of South Alabama was added back on the "Computer Science" guide. Also, the guides for "Information Systems (USA Only)" and "Information Technology (USA Only)" have been removed from the system. Students should now obtain the "Computer Science" guide and choose the track that best suits them upon transfer. REVISION: The University of South Alabama was removed from the "Computer Science" guide. USA's Computer Science degree is offered through their engineering program. REVISION: "Information Science (USA Only)" has been renamed to "Information Systems (USA Only)". The guide was otherwise unaltered. REVISION: "Recreation Administration (JSU Only)" was renamed to "Recreation Leadership (JSU Only)" and was updated to reflect new requirements. REVISION: "Dance (UA Only)", "Food and Nutrition (UA Only)", "General Studies in Human Environmental Sciences (UA Only)", and "Interior Design (UA Only)" has been updated to reflect new requirements. REVISION: "Restaurant and Hospitality Management (UA Only)" has been updated to reflect new requirements. CORRECTION: The guide for "Textile Eng/Textile Chem/Textile Mgt&Tech (AU Only)" has been removed from the guide listing. This program is being broken into separate templates and guides. The new templates and guides will be added to the system as soon as they become available. Guide for "Exercise Science and Wellness (JSU Only) " put on-line. Guide for "Emergency Management (JSU Only) " put on-line. REVISION: "Agricultural Economics (AU Only)", Agronomy and Soils (AU Only)", "Fisheries Science (AU Only)", "Horticulture (AU Only)" and "Poultry Science (AU Only)" have been updated to reflect new requirements. Guide for "Family and Consumer Sciences (JSU Only) " put on-line. REVISION: "Architecture (AU Only)", "Building Science (AU Only)", "Industrial Design (AU Only)", and "Interior Architecture (AU Only)" have been updated to reflect new requirements. REVISION: "Apparel Merchandising, Design, & Production Management (AU Only)", "Applied Mathematics (AU Only)", "Hotel & Restaurant Management (AU Only)", "Human Development & Family Studies (AU Only)", "Interior Design (AU Only)", and "Nutrition & Food Science (AU Only)" have been updated to reflect new requirements. REVISION: Behavioral Science (Athens Only), Health Science (Athens Only), Public Safety & Health Administration (Athens Only), and Instrumentation (Athens Only) have been updated to reflect new requirements. Most all the changes were in Area V.
REVISION: The guide for "Agricultural Communications (AU Only)" is no longer offered at Auburn University and has been taken off-line. REVISION: The guide for "Applied Discrete Mathematics (AU Only)" is no longer offered at Auburn University and has been taken off-line . REVISION: "Consumer Sciences (UA Only)" was updated to reflect new requirements in Areas III and V.
REVISION: "Apparel and Textiles (UA Only)" was updated to reflect new requirements in Areas II, III, and V.
REVISION: "Behavioral Science (Athens Only)" was updated to reflect new requirements in Area V.
REVISION: "Human Environmental Sciences (UNA Only) " was updated to reflect new requirements in Area V.
REVISION: "Sport and Fitness Management (TSU Only) " was updated to reflect new requirements in Area V.
REVISION: "Family and Consumer Sciences (UM Only)" was updated to reflect new requirements in Area II, IV, and V.
REVISION: "Cytotechnology (UAB Only)" was updated in Area III and Area V to reflect new requirements. REVISION: "Health Information Management (UAB Only) " - Finite Mathematics was added to Area III as an option. REVISION: "Allied Health (UAB Only)" was renamed "Health Sciences (UAB Only)" . Area V was also updated to reflect new requirements. REVISION: The guides "Biomedical Engineering (UAB Only)" and "Nuclear Medicine Technology (UAB Only)" were updated to reflect new requirements in Area V.
REVISION: The two-year community college courses JAP 101 and JAP 102 have been renamed to JPN 101 and JPN 102. REVISION: The guide for "Latin Education (TSU Only)" is no longer offered at Troy State University and has been taken off-line . REVISION: The guides for "Elementary or Early Childhood Education" and "Special Education" have been updated to reflect the new requirements for the "No Child Left Behind" federal mandate. REVISION: TSUD was added to the list at the bottom of the "Chemistry" guide as an institution that offers this program. NEW COURSE MTH 110 was added in Area III on the Apparel and Textiles (UA Only). REVISION: Business guide/template has been revised. In Area V students may now choose CIS 146 or CIS 147. In the past, CIS 146 was required. CORRECTION: Interior Design (UA Only) has been changed. The Area V section has undergone some revisions with courses being added as well as special notes. CORRECTION: The guide for Optical Science (UAH Only) has been removed from the guide listing. This program is no longer offered at UAH. Guide for "General Studies in Human Environmental Science (UA Only) " put on-line. Guide for "Technology, Industrial Technology or Engineering Technology " put on-line. Guide for "Human Development & Family Studies (UA Only)" put on-line. Guide for "Biomedical Engineering (UAB Only) " put on-line. Guide for "Family and Consumer Sciences (UM Only) " put on-line. Guide for "Interior Design (UA Only)" put on-line. Guide for "Hotel & Restaurant Management (AU Only)" put on-line. Guide for "Human Development and Family Studies (AU Only)" put on-line. CORRECTION: The "Interior Design (AU Only)" was revised. In Area III, Biology was removed from the students choices and replaced with choices in Physics. In Area IV, the History is no longer limited to World History, and Sociology was replaced with Microeconomics. Guide for "Health, P.E. & Recreation (UNA Only) " put on-line. Guide for "Apparel and Textiles (UA Only) " put on-line. Guide for "Consumer Sciences (UA Only) " put on-line. Guide for "Food & Nutrition (UA Only) " put on-line. Guide for "Restaurant and Hospitality Management (UA Only) " put on-line. Guide for "Social Science" put on-line. Guide for "Human Environmental Science (UNA Only) " put on-line. CORRECTION: "Geomatics (TSU Only)"in Area IV, the requirement of a Geography course was changed to a requirement of Microeconomics course. Also, Area V was revised: CIS 251 replaced CIS 130/CIS 146, PHS 111 replaced BUS 271, and MTH 237 replaced MTH 270. CORRECTION: The "Communication Studies / Speech" was revised. A history sequence is required in Area IV now. Also, Area V was revised. CORRECTION: "Agricultural Economics (AU Only)"in Area III, the math requirement was changed from MTH 125 to MTH 120. Also, Area V was revised with some courses being removed. Guide for "Apparel Merchandising, Design, & Production Management (AU only)" put on-line. NEW COURSE added to all guides where applicable. "PHY 120 Introduction to Physics"is now available in AREA III. CORRECTION: "Architecture (AU Only)" and "Interior Architecture (AU Only)"in Area III, only one physics course is required. The remaining 4 SH can now be chosen from a listing of Natural Science courses. Also, there was some hour changes in Area V.
NEW COURSE added to all guides where applicable. "IDS 102 Ethics"is now available in AREA II. This course was AGSC approved on 3/12/1998, but was pulled off the guides on 3/24/1998 per Dr. Rod Britt. Dr. Britt asked that the course be put back on the guides 8/28/2001. CORRECTION: "Interior Design/Architecture (AU Only)" was renamed to "Interior Architecture (AU Only) ". CORRECTION: "Interior Environments (AU Only)" was renamed to "Interior Design (AU Only) ". Guide for "Recreation Administration (JSU Only) " put on-line. Guide for "Career Technical Education (Athens Only) " put on-line. Guide for "Instrumentation (Athens Only) " put on-line. Guide for "Public Safety Administration (Athens Only) " put on-line. Guide for "Biosystems Engineering (AU Only) " put on-line. Guide for "Rehabilitation Services Education (AU Only) " put on-line. Guide for "Adult Education (AU Only) " put on-line. Guide for "Wildlife Sciences (AU Only) " put on-line. Guide for "Environmental Science (AU Only) " put on-line. Guide for "Health Promotion (AU Only) " put on-line. Guide for "Public Administration (AU Only) " put on-line. Guide for "Optical Science (UAH Only) " put on-line. Guide for "Slavic Area Studies (UAH Only)" put on-line. CORRECTION in "Communication Studies and Speech"- Jacksonville State was left of of the transfer guide for this major by mistake. We now have included them on the list of institutions that offer a major in this area. Guide for "Business Education" put on-line. Guide for "Rehabilitation [Non-Certification] (TSU Only) " put on-line. Guide for "Latin Education (TSU Only)" put on-line. Guide for "Sports & Fitness Management (TSU Only) " put on-line. Guide for "Human Services (TSU Only)" put on-line. CORRECTION in ALL "Engineering Majors"- In Area V, the following statement was added to the engineering transfer guides: "The remaining hours in Area V must be fulfilled by the requirements of the institution to which the student plans to transfer. Please refer to the institutional Home Page or Catalog for a major in xxxxxxxxx Engineering." This allows any four-year programs that are 128 SH or more to provide students with additional transfer course options to get them to 64 SH upon transfer. CORRECTION in "Fisheries Science (AU Only)"- Typo correction in Area III. The requirements say complete the following "physics" sequence. It should read complete the following "chemistry" sequence. The courses that were listed were correct. CORRECTION in "Behavioral Science (ATHENS STATE Only)"- Athens State will take either a history or literature sequence. The previous guide required a history sequence and not the literature sequence. CORRECTION in "Occupational Therapy"- NOTE: The University of Alabama-Birmingham is no longer listed on the bottom of the Occupational Therapy Program. The Occupational Therapy Program at the University of Alabama-Birmingham is only offered at the Master's level. For more information about UAB's Occupational Therapy Program, click here. Guide for "Health Services Administration (AU Only) " put on-line. Guide for "Textile Engineering, Textile Chemistry, and Textile Management and Technology (AU Only)" put on-line. Guide for "Forestry (AU Only)" put on-line. CORRECTION in "Elementary/Early Childhood Education " guide. The wording in AREA V has been modified for clarification purposes. Requirements have not changed. CORRECTION on ALL TRANSFER GUIDES. All references to Southern Union State Community College (SUSCC) quarter hours have been removed from all transfer guides. SUSCC will be on the semester system as of Fall 2000. In addition, all QH references have been removed from the guides. Guide for "Laboratory Technology (AU Only)" put on-line. CORRECTION in "Occupational Therapy"- NOTE: The University of South Alabama is no longer listed on the bottom of the Occupational Therapy Program. The Occupational Therapy Program at the University of South Alabama has been granted approval by ACHE to begin its entry-level Master's degree program and discontinue its current Bachelor's degree program. The Master's degree program will begin in the 2001-2002 academic year with the first class of the students being admitted in June, 2002. The final Bachelor's degree Professional Component students will be admitted in June of 2001 and complete their degree requirements in May, 2003. Guide for "Physics" put on-line. Guide for "Behavioral Science (Athens Only)" put on-line. Guide for "Information Science (USA Only)" put on-line. Guide for "Information Technology (USA Only)" put on-line. Guide for "Meteorology (USA Only)" put on-line. Guide for "Agri-Business Economics (AA&MU Only)" put on-line. CORRECTION in "Criminal Justice"- Auburn University no longer offers a major in Criminal Justice. They instead have a new "Criminology" program. Students who plan to go to Auburn and plan to major in Criminology should follow the "Criminology (AU Only)" guide instead of the "Criminal Justice" guide. CORRECTION in "Geomatics (TSU Only)"- In Area V Calculus II is required instead of Drawing II and PHY 202 is required instead of PHY 204 (SUSCC). Guide for "Geomatics (TSU Only)" put on-line. CORRECTION in "Health Information Management (UAB Only)"- Pre-Calculus Algebra or higher now required in Area III. Economics no longer required in Area IV. Finally, 9 SH electives in Area V now should be chosen from AGSC approved courses in Areas II-IV. Guide for "Music Education" put on-line. CORRECTION in "Art Studio B.F.A. "- Instructions in Area V were reworded to clarify requirements. No requirements were changed. CORRECTION in "Horticulture (AU Only)"- Instructions in Area III were reworded to clarify requirements. No requirements were changed. CORRECTION in "Economics B.A. "- Instructions in Area V were reworded to clarify requirements. No requirements were changed. CORRECTION in "Physics Education"- In Area III, MTH 112 Precalculus Algebra or higher is required. CORRECTION in "Nursing"- In Area III, MTH 112 Precalculus Algebra or higher is required. Guide for "Health Science (Athens Only)" put on-line. CORRECTION in "Nursing"- In Area III, options available for the second natural science course have been reduced. Common courses in Area V have been reduced to provide flexibility for the receiving institutions. In addition, ethics requirement in area two has been removed. CORRECTION in "Interior Environment-AU Only"- In Area V the requirements have changed. Guide for "Applied Discrete Mathematics" put on-line. Guide for "Applied Mathematics" put on-line. Guide for "Agricultural Communications" put on-line. Guide for "Criminology" put on-line. Guide for "Economics (BA Degree)" put on-line. Guide for "Anthropology" put on-line. CORRECTION in "Business"- Note on BUS 272 has been modified to reflect the requirement for students transferring into a 120 SH program. CORRECTION in "Occupational Therapy"- Alabama State University is now listed as a receiving institution in this program. Guide for "Nutrition & Food Science (AU Only)" put on-line. CORRECTION in the"Biology, English B.A. or B.S., History, International Studies (UAB Only), Philosophy, Psychology B.A. or B.S., Religious Studies, Social Work, and Sociology" guides. In AREA V, "free electives" or "electives" must now be taken from courses approved in Areas II-IV. NOTE: This is also the case in the following templates "Anthropology" and "Physics." These two program templates have been ratified. We are currently developing the transfer guides for these two programs. As soon as they are available we will post them on the STARS System. See AGSC Ratified Templates. Guide for "Animal/Dairy Science" put on-line. CORRECTION in "Geology" guide. In AREA V, the transfer guide listed Calculus I as a requirement. This should have been Calculus II. Calculus I is already required in Area III. In addition, JSU was listed as an institution offering Geology, they do not have a Geology Degree and have been removed from the guide as a possible transfer institution. Guide for "Physics Education" put on-line. Guide for "Communication Studies or Speech" put on-line. Guide for "Agricultural Economics (AU ONLY)" put on-line. Guide for "Agronomy and Soils (AU ONLY)" put on-line. Guide for "Horticulture (AU ONLY)" put on-line. CORRECTION in "Allied Health (UAB Only)" guide. In AREA V, a note was added pertaining to an option to take Accounting I and II. REMOVAL of "Landscape Architecture (AU Only)" guide. The Landscape Architecture Program at Auburn is no longer offered as a Bachelor's program. Instead, students must be admitted into the Masters Program in Landscape Architecture. For more information see Auburn's School of Architecture Web Site (CLICK HERE!) . REMOVAL of "Pharmacy (AU Only)" guide. The Pharmacy Program at Auburn is no longer offered as a Bachelor's program. Instead, students must be admitted into the Masters of Pharmacy Program. For more information see Auburn's School of Pharmacy Web Site (CLICK HERE!). ADDITION to"Computer Science" Guide. Troy State University will now appear at the bottom of the Computer Science guide as one of the schools which offer Computer Science degrees. CORRECTION in "Poultry Science (AU Only)" guide. In AREA III students may now also take MTH 115. In AREA V, specific course notes have been added for clarification purposes. Guide for "International Studies (UAB Only)" put on-line. CORRECTION in "Pharmacy (AU Only)" guide. In AREA III it should say students should complete the "following chemistry sequence," not the "following physics sequence." Chemistry courses listed are correct. Guide for "Biology Education: Middle/High School" put on-line. Guide for "Chemistry Education: Middle/High School" put on-line. Guide for "Computer Science" put on-line. CORRECTION in "Allied Health - Radiologic Sciences" guide. USA Biology Sequence requirement clarified in Area III. Guide for "Geography" put on-line. Guide for "Geology" put on-line. Guide for "Athletic Training" put on-line. Guide for "English (BA or BS)" put on-line. Guide for "Religious Studies" put on-line. Guide for "History Education: Middle/High School" put on-line. Guide for "Mathematics Education: Middle/High School" put on-line. Guide for "Physical Education" put on-line. Guide for "Social Studies Education: Middle/High School" put on-line. Guide for "Special Education" put on-line. Guide for "Art Education" put on-line. Guide for "Elementary/Early Childhood Education (Revised)" put on-line. Guide for "English/Language Arts Education: Middle/High School " put on-line. Guide for "French Education: Middle/High School" put on-line. Guide for "General Science Education: Middle/High School" put on-line. Guide for "Geography Education: Middle/High School" put on-line. Guide for "German Education: Middle/High School" put on-line. Guide for "Health Education: Middle/High School" put on-line. Guide for "Spanish Education: Middle/High School" put on-line. TEMPORARY REMOVAL of the "Early Childhood/Elementary/Special Ed (K-6)"
The Education Pre-Professional Committee has recently revamped the template for all education programs--including Elementary/Early Childhood/ and Special Education. We hope to have these new transfer guides for all education programs up on the STARS system within the next few weeks. Any transfer guides printed prior to May 20, 1999 will be honored. To see the new requirements for education, see the AGSC Ratified Templates Page . Guide for "Industrial Hygiene (UNA Only)" put on-line. Guide for "Theatre" put on-line. Guide for "Dance (UA Only)" put on-line. CORRECTION on all "Allied Health" Programs. The Allied Health Programs are now listed alphabetically by the name of the program (they are not all listed under the letter "A" for allied health). For Example: "Allied Health - Occupational Therapy" is now just "Occupational Therapy" ; "Allied Health - Health Information Management" is now just "Health Information Management" ; etc. The requirements in the guides and on the templates have not been altered -- just how they are listed has changed. CORRECTION in "Allied Health - Radiologic Sciences" guide. "SOC 200" should have been listed as a choice in AREA IV. Guide for "Social Work" put on-line. CORRECTION in "Pharmacy (AU Only)"
The wording in AREA III should read "Students...in Pharmacy" NOT "Students...in Fisheries Science". The academic requirements are correct. We apologize for the typing error. In AREA V, BIO 103 was added as a viable transfer course to bring the total hours in AREA V to 23 semester hours. Guide for "History" put on-line. Guide for "Biology" put on-line. CORRECTION in "Allied Health - Respiratory Therapy/Cardiopulmonary Sciences"
The wording in AREA V has been revised to reflect the maximum transfer requirement of 19-23 SH. The previous wording made it appear that students could take 26 SH in AREA V.
NEW COURSES added to all guides where applicable. "GLY 101 - Introduction to Geology I" and "GLY 102 - Introduction to Geology II " are now available AREA III. Guide for "Pharmacy (AU Only)" put on-line. CORRECTION in "Building Science (AU Only)"
In AREA IV, PSY 210 should not be listed as a required course as previously listed. Guides printed prior to this change will be honored. Guide for "Sociology" put on-line. Guide for "Environmental Sciences (UWA Only)" put on-line. Guide for "Interior Design/Architecture (AU Only)" put on-line. Guide for "Landscape Architecture (AU Only)" put on-line. Guide for "Art History B.A." put on-line. CORRECTION in "Allied Health - Radiologic Sciences"
In AREA III, MTH 112 is now acceptable for students planning to transfer to UAB under the following condition --- They DO NOT plan on taking the required physics sequence listed in AREA III at the community/junior college but instead plan on waiting and taking the physics course work at UAB. Note: If they plan on taking the required physics sequence at the community/junior college, then they should take MTH 113 (prerequisite for the physics sequence). Japan courses for the two-year institution now carries a "JAP" prefix rather than a "JPN" prefix.
" ANT 130 Introduction to Archaeology" is not offered at the two-year institution. This course is taught as "ANT 230 Introduction to Archaeology". NEW COURSES added to all guides where applicable. "SPH 116 - Introduction to Interpersonal Communication" is now available AREA II. Guide for "Allied Health - Health Information Management (UAB Only) " put on-line. Guide for "Art Studio (B.A.)" put on-line. Guide for "Art Studio (B.F.A.)" put on-line. NEW COURSES added to all guides where applicable. "PSY 210 - Human Growth and Development " is now available AREA IV. NEW COURSES added to all guides where applicable. "THR 120 - Theatre Appreciation" and "THR 126 - Introduction to Theatre" have been approved and are now available AREA II. Guide for "Building Science (AU Only)" put on-line. Guide for "Architecture (AU Only)" put on-line. Guide for "Industrial Design (AU Only)" put on-line. Guide for "Fisheries Science (AU Only)" put on-line. Guide for "Poultry Science (AU Only)" put on-line. GEO 101 and GEO 102 (Principles of Physical Geography I and II with labs) were inadvertently placed in AREA IV as a Social Science. They should be in AREA III under the Natural Sciences. This change was made to all available guides where applicable. In AREA V, the CIS 130 course title was listed wrong. It should be called "Introduction to Information Systems. " CORRECTION in "Telecommunications and Film or Broadcasting"
In AREA V, the SURVEY COURSES should be now listed as MCM 100 and MCM 102. In addition, the SPEECH requirement can be met by taking either SPH 106 or SPH 107. In AREA III, MTH 110 is no longer listed as an option. CORRECTION in "Engineering - Civil"
In AREA III , AST 220 is no longer listed as an option. CORRECTION in "Allied Health Respiratory Therapy/Cardio Science"
In AREA V, students should take PHY 201 to fulfill the PHYSICS requirement. CORRECTION in "Allied Health Occupational Therapy"
In AREA V, students my now choose from ART 113, 121, 127, 143, or 233 to fulfill the ART requirement. In AREA V, the SOUTHERN UNION Students MUST take CHM 113, 114, and 115 (not CHM 101, 102, and 103 as previously posted). Guide for "Chemistry" put on-line. In AREA IV, the student MUST take one History Course. Guide for "Advertising" put on-line. Guide for "Engineering - Computer Engineering" put on-line. Guide for "Engineering - Computer Science" put on-line. Guide for "Engineering - Electrical" put on-line. Guide for "Engineering - Mechanical" put on-line. Guide for "Journalism" put on-line. Guide for "Mathematics" put on-line. Guide for "Public Relations" put on-line. Guide for "Telecommunication and Film or Broadcasting" put on-line. Guide for "Engineering - Aerospace" put on-line. Guide for "Engineering - Chemical" put on-line. Guide for "Engineering - Civil" put on-line. Guide for "Engineering - Industrial " put on-line. Guide for "Engineering - Materials " put on-line. Guide for "Philosophy" put on-line. Guide for "Criminal Justice" put on-line. Guide for "Political Science" put on-line. CORRECTION in "Early Childhood/Elementary/Special Ed (K-6)"
Guide for "Early Childhood/Elementary/Special Ed (K-6)" put on-line. Guide for "Psychology B.A. or B.S." put on-line. Guide for "Speech Pathology" put on-line. Guide for "Foreign Language" put on-line. Guide for "Nursing" put on-line. Guide for "Interior Environment (AU Only)" put on-line. Guide for "Music" put on-line. Guide for "Allied Health - (UAB Only)" put on-line. Guide for "Allied Health - Cytotechnology (UAB Only)" put on-line. Guide for "Allied Health - Nuclear Medicine (UAB Only)" put on-line. Guide for "Allied Health - Surgical Physician Assistant (UAB Only) " put on-line. Guide for "Business" put on-line. Guide for "Allied Health - Biomedical Sciences (USA Only)" put on-line. Guide for "Allied Health - Clinical Lab Science /Medical Tech" put on-line. Guide for "Allied Health - Respiratory Therapy/Cardio Science" put on-line. Guide for "Allied Health - Occupational Therapy" put on-line. Guide for "Allied Health - Radiologic Sciences" put on-line.